19 Years ago I was sitting on my deck in downtown NYC – one block off Broadway – and it was raining ticker-tape. The Desert Storm vets were returning home to a huge parade. 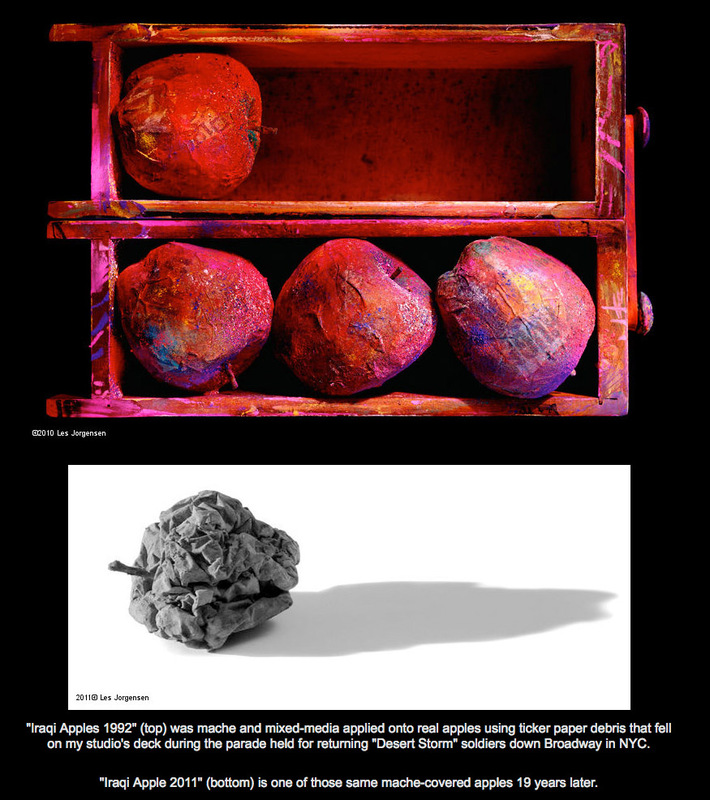 I made a photograph at the time called Iraqi Apples. Today I sent out a promotion that included one of those apples 19 years later.